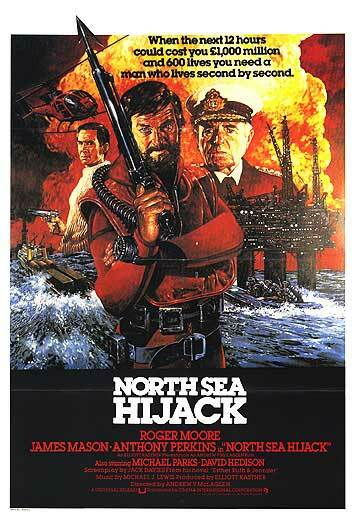 When psycho Anthony Perkins hijacks 3 oil drilling rigs in the North Sea, who are you going to call? Roger Moore that’s who. Though this time he’s not the Saint or James Bond or even a Persuader, Rather he’s Rufus Excalibur ffolkes, a misogynistic, cat loving beard wearing trouble shooter. ffolkes is brought in when it’s discovered that his band of trouble shooters had planned and trained for something similar not long before the attack. This much maligned film is actually the perfect popcorn film. 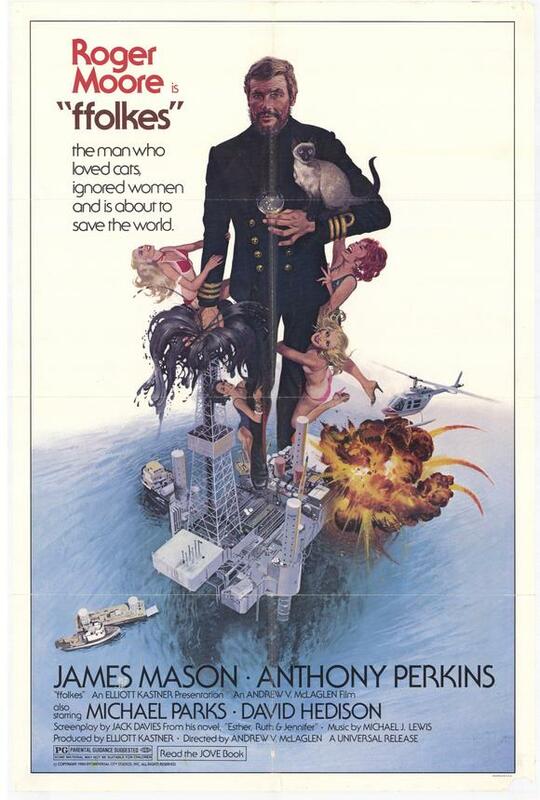 It’s got high adventure, an all-star cast (James Mason and Michael Parks also appear) and a few witty lines. This is exactly the sort of mid-level action or caper film that were turned out with regularity in Europe from the late 1960s to the early 80’s.These were films like the earlier reviewed Inside Out, also with James Mason, that provided a pay check and kept the stars in the public eye. In many cases they allowed for second level American stars to get a leading role in a movie. For me ffolkes is one of the better of the bunch. It has a some great action set pieces, a couple of clever twists and Roger Moore going against type as a very cranky hero. I really can’t think of another time after he starred in the Saint where Moore played anything other than a suave version of Simon Templar/James Bond. Yes you have a an odd film or two from the early 70’s, but mostly Moore played exactly the same character. Is that a bad thing? Probably not since it allowed more to make fists full of cash and travel the world, but at the same time I suspect he probably would have liked to have mixed it up now and again.